Unscrew the extension ring, open it and clamp it onto the pan axis motor on the Crane 2/Crane Plus/Crane V2/Crane stabilizer. Tighten the screw to finish. High Quality: With high-quality aluminum material. 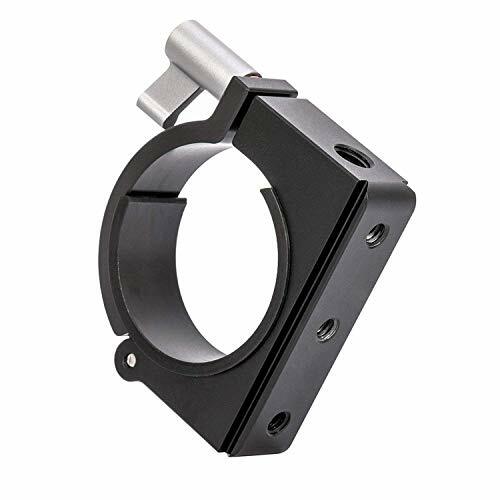 5 Holes: Designed for Crane 2/Crane Plus/Crane V2/Crane, with up to 3 1/4" and 2 3/8" extension threads , offering you more possibility of accessory combination. Easy-to-use Thumbscrew: Designed with thumbscrews for fast and easy installation, saving your time . Lightweight: small , it can be mounted directly on the Crane 2//Crane Plus/Crane V2/Crane handle when you are not using it, without compromising the stability and experience of the Crane 2/Crane Plus/Crane V2/Crane stabilizer. If you have any questions about this product by zhi yun, contact us by completing and submitting the form below. If you are looking for a specif part number, please include it with your message.